Our complementary curency is called ComCoin, which is a short name for Community Coin. We use the symbol CC for our ComCoin transactions. We use this electronic/virtual currency to measure trust and contribution exchanged among members in a pay-it-forward system. ComCoins reward members who lend a hand, with equal opportunities to receive help at their turn. It is a complementary local currency that helps positive exchanges within the community, and in many ways it acts just like regular money. You can earn it, spend it, save it, donate it. ComCoins vs. Reward Points. Our currency works somewhat like a reward point system, in the sense that you can exchange it for goods and services. However, there are many differences. Reward points are a very minute portion of the service/product cost, while ComCoins reflect the entire value of a products/service at its local market value calculated based on the local minimum wage level. Consequently, reward points are affected by inflation, while our ComCoins are inflation-proof. ComCoins vs Bartering. This is different from bartering, because it is done in a pay-it-forward manner, and members do not need any capital in order to receive help. When someone posts a want, we help. When it is our turn to need a hand, other members help us, So help goes around in circles, and during the process we create our alternative currency, as needed. 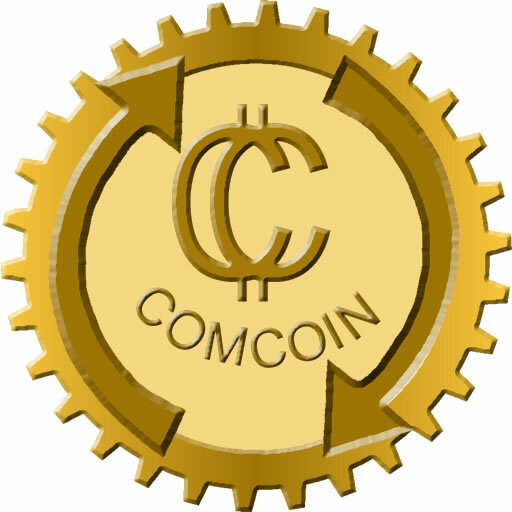 ComCoins are created by members, as needed, and they represent measures of trust used in a pay-it-forward system. ComCoins are not subject to inflation, because their value is defined by time. A ComCoin is a tenth of a work hour (or 6 minutes of work) at minimum wage in effect for each given location. We chose this unit because it reduces confusion, allowing for easy pricing of goods and services, making them almost similar to real dollar value. For some professions (e.g. dentists, doctors, licensed trades), an hour of such service will involve a higher price (higher than minimum wage level), given the thousands of dollars they invested in education and the many years of schooling or apprenticeship they had to complete before being able to become licensed in their industry. Since we are an abundance-based community, let's be generous and recognize their expertise and hard work to get there. If the same professionals choose to help someone with other tasks, outside of their specialized profession, the price will be calculated at minimum wage, like everyone else's. We do not monitor taxes for our members, Everyone is responsible to make sure they understand and follow the tax rules of the land where they transact or live. Worth noting is that, ifyou invest your ComCoin earnings into services for your home-based business (e.g having a website built, paying for referrals, hiring an accountant from our community, etc.) you can write them off as business expenses. That is a win-win situation, where you did not spend money from your pocket to use services for your business, and you did not have to pay taxes either. The only thing you can't expect for your ComCoins is exchange them for real dollars. Such exchanges may be offered by members once in a while, although we do not encourage it. Help My Neighbour will never exchange cash for ComCoins, not even when member terminate their accounts with a positive ballance. The only way we try to turn your Com-Coins into cash is by doing everything we can to sign up more local businesses, and invite them to trade their products and services at least partially in ComCoins. This is already done in areas where collaborative communities (like ours) have been around for a few years. It is our goal to develop relationships with local business, so that our members trading outside our community For instance, a restaurant may allow our members to pay 20% of their meal in ComCoins, and then uses those ComCoins to buy produce from a small local farm. As more and more local businesses join our community and accept our currency as an alternative payment option, our members will have a larger variety of benefits using their well deserved ComCoin earnings generated through helping activities on our site.